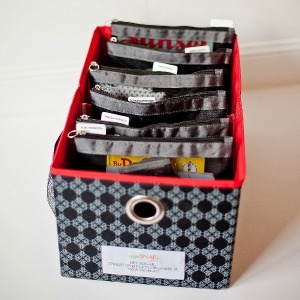 Gone are the days of ugly organizational tools for moms! These practical and stylish organizers help to keep your life in order in every situation and space. Every mom needs a home office, whether you work outside of the home, work from home or stay at home. 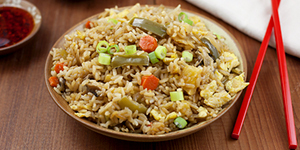 There's always something to file for yourself, your home and your kids. Stuff you need to access at a moment's notice: like shot records, school paperwork and important documents. But not every mom has the space for an actual home office. 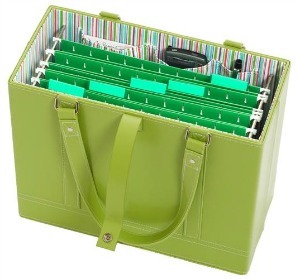 With practical and stylish organizers like the Office Candy File Tote ($60), your home office can be wherever you want it to be and travel with you to meetings, school functions and doctor appointments. With convenient shoulder straps and pockets for your phone and supplies, you can easily create a mobile home office. Keep your home office supplies in a safe place and out of children's reach. Stylish home office organizers fit into your home decor and provide storage solutions for busy moms. Make sure your organizing tools are portable and easy to take with you while on the go. If you're like me, you prefer to have a planner that you can hold, write in and take with you in your diaper bag. Sure a smart phone can do similar things and takes up less space, but sometimes you need to feel the pages and write out your notes instead of flipping through apps and typing with one finger. I like to compare it to holding a real book with real pages… There's nothing like a real book or a real planner. Plus, I get the most satisfaction from crossing things off my to-do list rather than deleting them from a digital notepad. 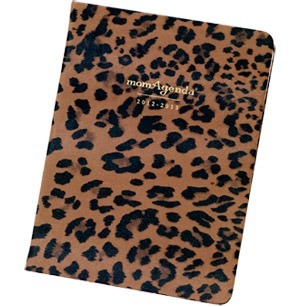 The MomAgenda ($43) satisfies my need for a personal and professional planner, while keeping my sense of style. With the week at a glance pages, I hardly ever forget my commitments and I'm able to keep track of my kids' activities and plan dinner -- all on the same page. Even some of the most practical diaper bags have large spaces that end up being filled with too much stuff. 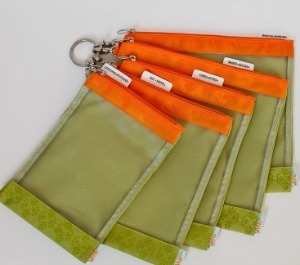 The super stylish and practical SugarSnap Files ($44) fit perfectly in every diaper bag and make organizing easy with easy to identify tabs. Never dig into your diaper bag again for extra clothes, sunscreen, sanitizer, diapers, wipes and toys -- simply grab the bag you need, when you need it and never disrupt the contents of your diaper bag again. Throughout my years as a parent, I've learned that it's important to keep your diaper bag fully stocked for every occasion, but I'm human and almost always forget to replenish the diapers I used or the sunscreen I left in the stroller. Because of these occurrences, I've learned it's equally important to keep back-ups in your car at all times. But organizing my car drives me crazy. Just when I seem to find a system that works, I'm proved wrong -- until the SugarSnap Car-Go system ($59) came into my life. This stylish organizer fits perfectly in any trunk and keeps even the busiest families prepared and organized while on the go.